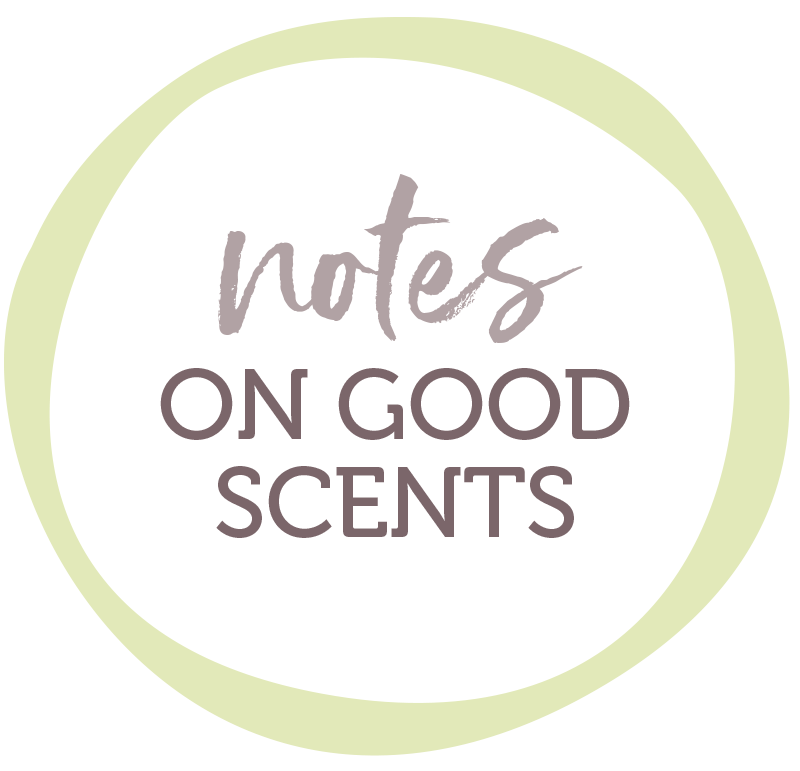 Notes on good scents – Making good sense of good scents. Ahhhh … autumn. It really is a special time of year in Australia. As the weather finally cools and the leaves turn, the intense smells of summer dissipate and more earthy scents emerge. The first rains wash away the grime of the long hot months – then, depending where you live, a dampness settles over the fallen leaves and produces its own sweet elixir. The cooler weather is gentler on our olfactory system. There are fewer smells in the air – as the temperature drops, odour molecules are less likely to be released from the environment around us. This makes autumn the perfect time to think about lighting scented candles or opening a new diffuser, and welcoming beautiful scents into your home. Question is, which aromas are best in autumn? It can depend on the mood you’re trying to create. For us, it’s all about seasonal fruits and veg – many of which have been ripening beautifully over summer, ready to release their heady scents. A freshly picked fig is juicy, indulgent and richly aromatic, combining the scent of the sun-ripened fruit with that of its woodsy leaves. With its hints of sweet jasmine, spicy anise and sandalwood, the aroma of figs will create the sense that summer is lingering longer in your home. The tangy smell of lime refreshes and invigorates, offering the perfect pick-me-up as the weather cools and you’re tempted to linger under the doona for longer in the mornings. It’s known to stimulate your immune system and boost your concentration, too. This warm, spicy scent energises body and soul. It restores balance if you’re feeling nauseous; its warming properties help with cold muscles; it relieves headache; it aids in digestive issues. And, paired with another vibrant scent like lemongrass, it is an incredibly uplifting fragrance for your home. Deliciously juicy pears are coming into season in autumn, and we can’t get enough of their sweet scent. Whether you have fruit ripening in the bowl or not, you can celebrate the crisp aroma of pears with a candle that captures the scent perfectly. We start craving the zesty aroma of oranges around now. We suspect it’s got something to do with the fruit’s restorative properties – renowned for its Vitamin C content, an orange is a great immune booster and just what we need coming into the colder months. The scent of orange is energising and refreshing, too; and helps to promote a positive mood. Ready to infuse your home with the scents of autumn? Head over to Oscura to discover the scents of the season. As kids, it’s that one magical day we spend all year looking forward to. But for many adults, Christmas loses its lustre and turns into a source of stress and anxiety. The collision of scorching summer temperatures, the arrival of extended family, and perhaps one too many glasses of champagne can leave you with a festive hangover … in more ways than one. Short of booking an overseas holiday, how does one survive the big day unscathed? Here are our top tips to enjoy the festive season. Finances can get stretched to the limit at Christmas, particularly if you’ve got an extended family and friends you want to share the joy with. This year, set yourself sensible price limits and think about practical, useful gifts you could give instead. Set up a Secret Santa tradition with the extended family, too, so you don’t have to buy gifts for all the nieces and nephews. We’re lucky enough in the southern hemisphere to have some glorious summer weather over the festive season. If you aren’t eating your Christmas meal outside, make sure you take time to step out and enjoy the sunshine. Tempers can quickly fray and family tensions surface when the clan is cooped up around the air-conditioner. Take a walk to burn off Christmas lunch and breathe in some fresh air. Make sure whoever is hosting your Christmas gathering doesn’t end up saddled with all the tasks – from stuffing the turkey to baking the perfect pudding. Guests want to feel useful, so give them something to do to help the day run smoothly. Share out the meal preparation in advance, and get everyone to help with table clearing and cleaning up. Sometimes Christmas can start to feel like one long marathon social engagement, fitting in all the family lunches and dinners. It’s not always possible to do it all, and you’ll end up exhausted. Take the time to reflect on what you most love about the season and start your own traditions – perhaps a simple picnic at the beach or a rousing rendition of Christmas carols around a campfire. Whatever works for you. Spending your working life surrounded by invigorating scents is a pretty good gig, we reckon. No wonder the team at Urban Rituelle are so happy all the time! Here, we take a peek into this highly successful, award-winning home fragrances business. What’s not to love about a company that began in 1999 at an inner city Sydney market? Urban Rituelle’s handmade soaps are made in Australia and sold around the world. Urban Rituelle is an environmentally aware company, with the credentials to match. They have never tested products on animals. Their beautiful ingredients are completely natural and ethically sourced. Their packaging is completely recyclable. And they continue to reformulate existing products as more sustainable options become available. What’s not to love about that? We adore the fact that founders Leanne and Scott always have time for a chat, despite the fact that they are running a global business. And the fact that our main contact, Lauren, always makes us giggle. It’s nourishment for the soul. Do you have a favourite fragrance, and can you describe it in three words? It’s very hard to choose and my ‘favourite’ changes from week to week! This week, it’s our Flourish Organics Lemongrass blend. It’s made with a divine blend of lemongrass, lemon myrtle, grapefruit and eucalyptus essential oils. I would describe it as uplifting, invigorating and fresh! What is the favourite part of your daily ritual? I love calling in to my local café, Sister Fox, every morning after school drop-off and before I hit the office. Here, I cross paths with many wonderful people in my community. I am super excited about the launch of our new collection, Scented Offerings! It has been a dream of ours for years to design and create our own unique and individual glassware for our Home Fragrance collections. We took a risk, and it has paid off. The finished product looks sensational, and we are so proud of the quality. Is your garden looking a little bereft? Is there a silence where once there may have been a healthy humming of buzzing bees? Are you struggling to produce a decent crop of vegetables? It makes sense to bring the bees back. Bees are the bee-all and end-all of thriving gardens. If it weren’t for them, our lives would be bereft of the beautiful scents we enjoy in our lives today. These hard-working little creatures pollinate up to 80% of all flowering plants in the world, steadily buzzing from one plant to the next collecting and spreading the pollen that is essential for plant survival. We’re the only ones who make honey, pollinate flowers, and dress like this. If we’re going to survive as a species, this is our moment. So what do you all say? Are we going to be bees, or just Museum of Natural History key chains? Bees cannot become Museum of Natural History key chains. Nope. We need them, more than many people realise. Here’s how you can do your bit in bringing the bees back into your garden. Like any species, bees need food to survive. If you create a garden that is full of appetising pollen and nectar, then you are more likely to attract them. And, by attracting the bees, you are more likely to have a healthy, humming garden as the bees do some of the most crucial gardening work for you. Did you know that bees prefer blue, purple and yellow flowers? Some flowers are tastier than others for native bees, and some colours are more attractive. The key is to ensure a steady, year-round supply of pollen and nectar for your bees, so aim for a variety of plants that flower at different times of the year. Some of our favourite bee-loving plants include a mass of lavender, a copse of flowering gums or hakeas, or pretty little leptospermum. Grevilleas and callistemon are classics in native gardens; and don’t forget to let a few of your herbs and vegies go to seed. Bees find their flowers delicious. Bug spray of any kind is going to repel or, worse, kill off the bee population in your garden. Avoid garden chemicals and insecticides if you can. Or, if you must use them, then try to steer clear of spraying near flowering plants. Get to know where your bees are buzzing, and keep these areas as spray-free as possible. Bees need a drink every now and then. A garden with a reliable source of water is going to be more appealing for buzzing bees than a parched one. Add a cute little bird bath with a shallow supply of water, and plenty of pebbles so that these fragile little creatures won’t drown. There you have it. Four easy ways to encourage bees back into your garden so you can enjoy their quiet hum and the gorgeous scents they produce for many years to come. Vanilla is one of the most evocative flavours in the world. Who doesn’t love a spoonful of Sara Lee vanilla ice-cream straight from the tub? Or that delicious waft of sweet scent when you measure out a teaspoon of vanilla essence into your baking? We certainly do! And yet, the word ‘vanilla’ is much maligned. Somehow, somewhere, someone started using the word to describe things that were ordinary. Boring. Plain jane. That’s not fair. Vanilla is a far cry from being boring. So we’ve decided to do some sniffing around and share the truth about this fascinating scent. Vanilla – which in Spanish translates as ‘little pod’ – has a rich and complex history. It was first discovered by a tribe called the Totonacs on Mexico’s east coast way back before the 15th century. The Aztecs conquered the Totonacs, and took the vanilla with them. Then the Spanish did the same. Back then, vanilla was scraped into hot chocolates for added flavour (it was another couple of centuries before ice-cream was invented). Today, vanilla is not only a pantry staple that’s added to most baked treats – it is cherished for its aromatherapy benefits, too. Before we dive into why it’s so good for you, let’s take a look at its remarkable creation. Vanilla pods grow on a beautiful orchid vine native to Central and South America. Their very existence is remarkable – the orchid flowers open for just 24 hours and, if they are not pollinated during this brief period, they wilt and fall from the vine. Pollination is an extremely delicate process that is done by hand (unless the orchid grows in Mexico, where native Melipona bees do the job). No wonder vanilla is the second most expensive spice in the world after saffron! Vanilla is celebrated in the aromatherapy world. And for good reason. We love vanilla essential oil for its soothing and relaxing properties. As well as chilling you out, it is an antioxidant, aphrodisiac, anticarcinogenic, febrifuge and antidepressant. So many good reasons to add a few drops to your daily blend! Nope, vanilla is certainly no plain jane. And that’s why we love it.